Green smoothies and I go wayyy back. As hard as I try, I’m just not a regular salad eating person. I love them, but never seem to be able to eat them as regularly as I should. I know that I need my greens though, so I find other ways to make sure I am getting that daily hit of nutrition. 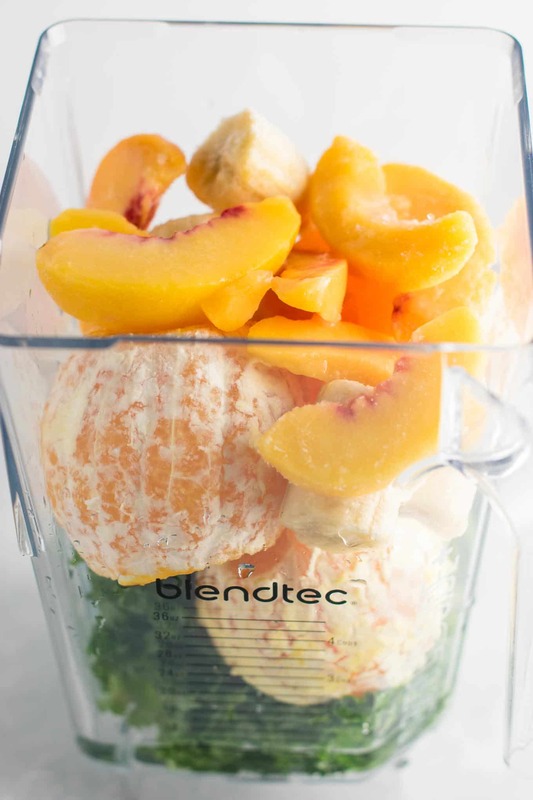 Ever since investing in a Blendtec, we make a big smoothie almost every day. 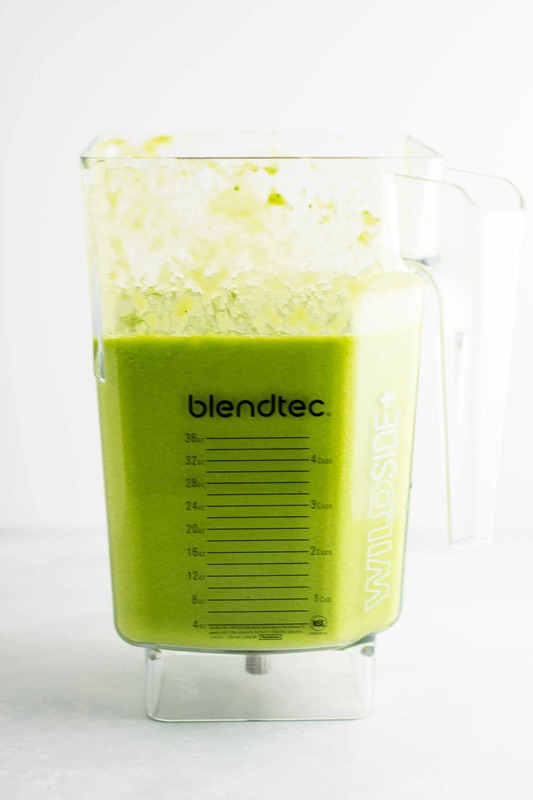 My Blendtec was one of the best purchases I have ever made for a kitchen appliance! We use ours so much and love how powerful it is! 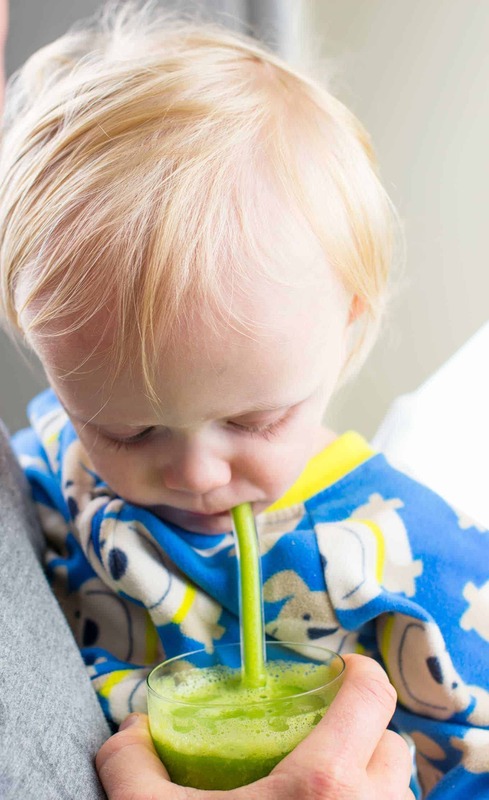 Not only do my husband and I love them and feel much better, but it also means that my picky eater toddler is getting at least some good food in his diet every day. 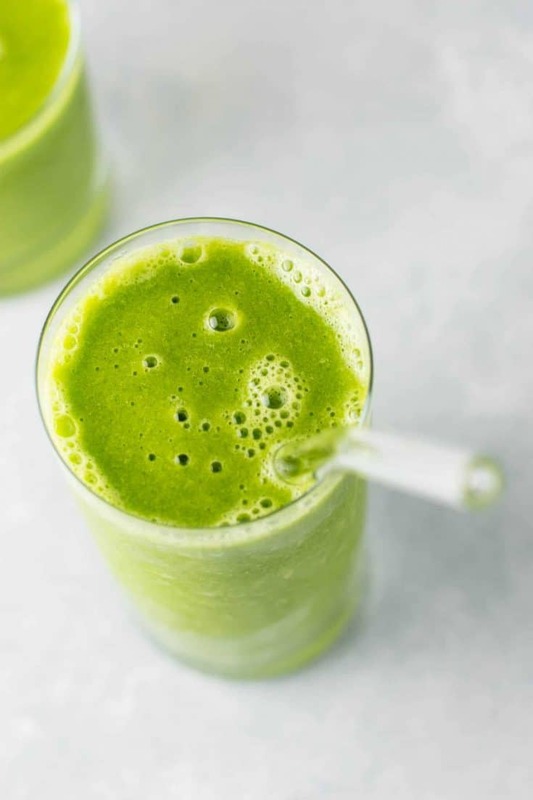 This green smoothie recipe is the ultimate immune boosting drink to help fight colds. After drinking one of these daily, it helped me eliminate my cold in just a few days versus the normal 1-2 weeks that I feel lousy. Then fresh ginger (so good for you), 3 oranges, a lemon, and some frozen banana and peaches. Add water and ice and that’s it! It basically tastes like a tropical smoothie. 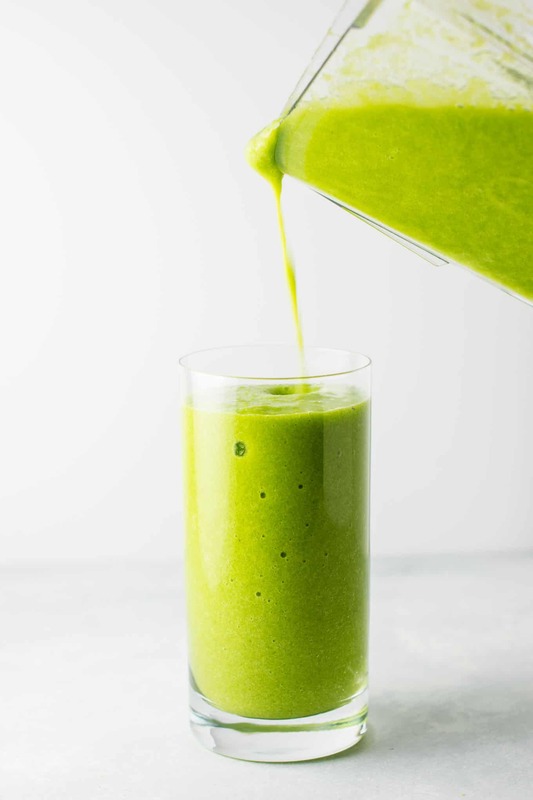 My husband absolutely loves this recipe and easily drinks 25-30 ounces himself. 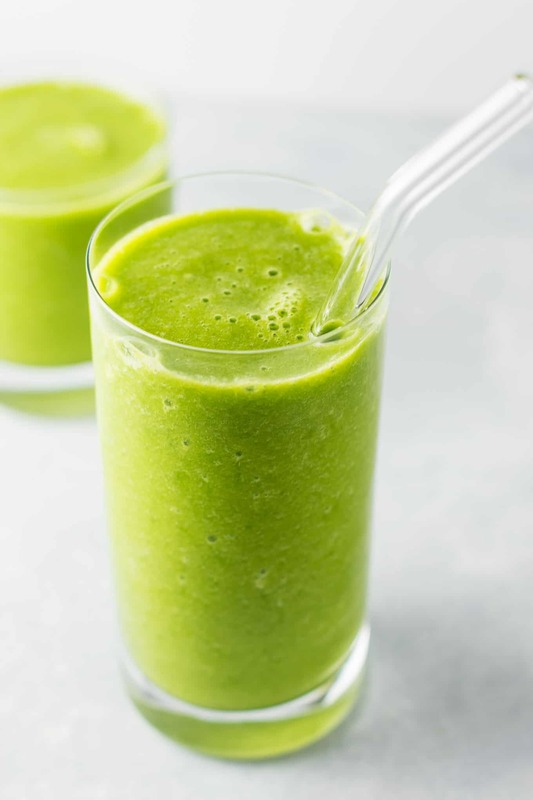 It’s a running joke in our house that I don’t know how to make small smoothies, so this recipe yields around 50 ounces. You can easily halve it or quarter it if you wanted to. My husband and I split it, and he shares his with our toddler. 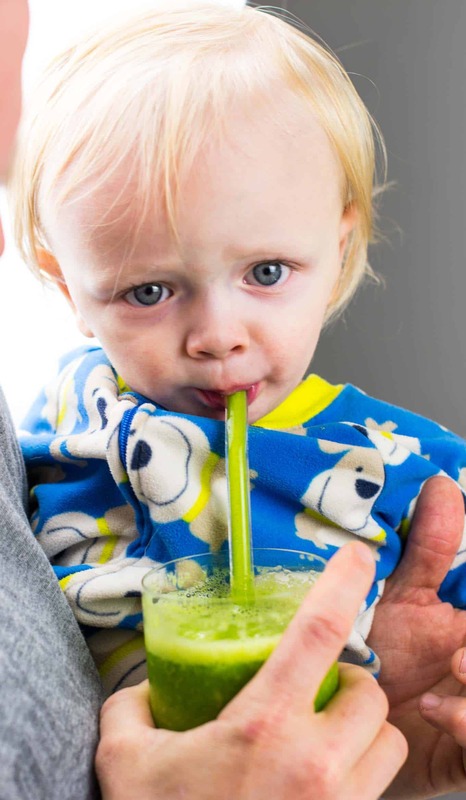 Crosby loves smoothies and this one he couldn’t get enough of! I feel so good knowing how much goodness he’s getting in those sips. 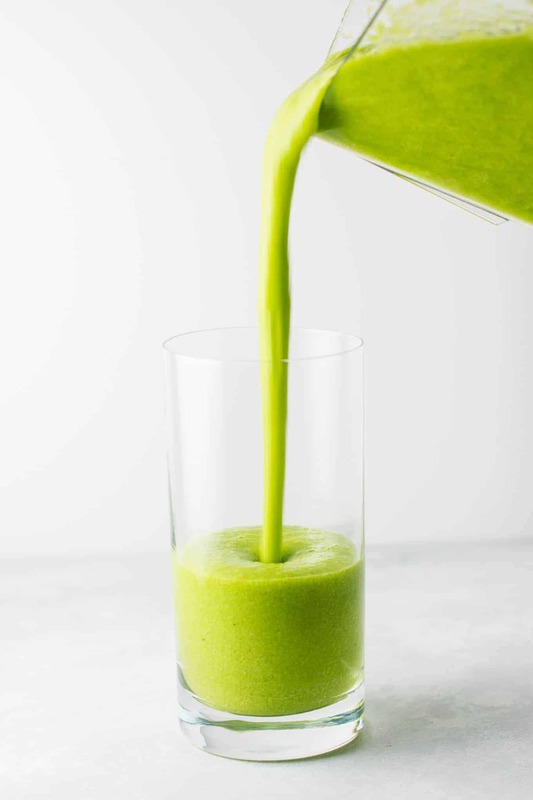 I could drink this smoothie every day and never get sick of it. 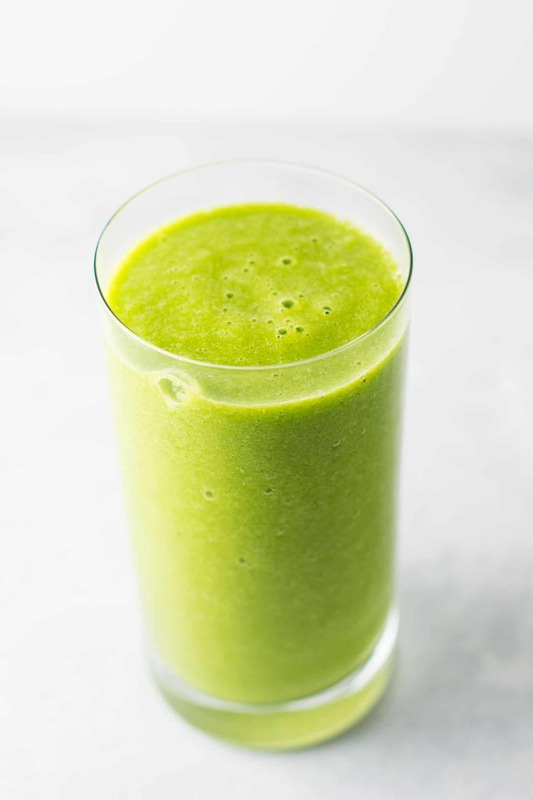 Perfect to get your family more greens, or use as a cold fighter. We always feel so much better after a hit of fresh ginger and oranges and so many nutrients all packed up in one smoothie. 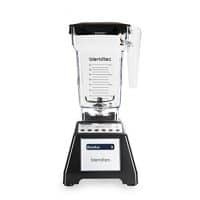 Combine all ingredients except ice in a Blendtec or other high speed blender and blend until smooth. 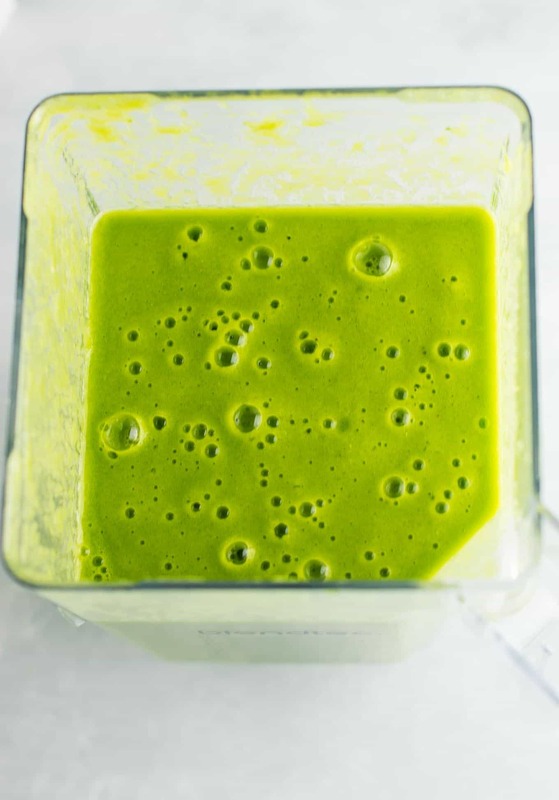 This recipe sounds amazing and I love how vibrant it is! I tend not to make a lot of ice so I was wondering if I could omit the ice if I froze the oranges and lemon, or would that make the flavor too intense? You could definitely omit the ice! It’s personal preference really and totally optional. 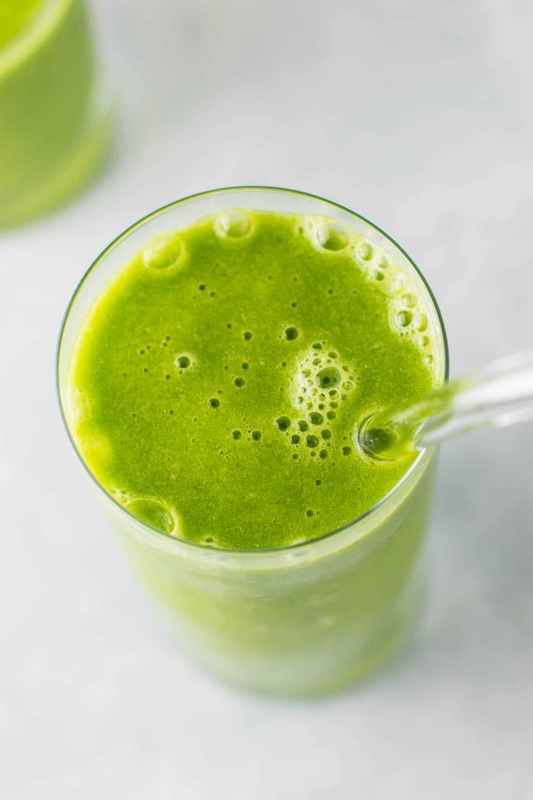 I like a more icy texture in my smoothies, but they will still be cold and creamy without it!